“High up in the wilds of Dartmoor a craftsman has discovered a new, curious, and interesting handicraft. This is the making of beautiful little tablets of a substance resembling old ivory or a creamy kind of agate adorned with peculiar brown markings. On looking at a pony’s tooth it is difficult to realise that anything attractive could be made from it, yet the examples I have seen are certainly uncommonly charming in effect. One man only as far as I am able to ascertain, makes these curious things. The method has been handed down to him through generations of Moor men, for he comes from stalwart old Dartmoor stock and is himself a fine son of the moors. In his rambles among the wilder tors he not infrequently finds the skeleton of a little moor pony which has probably been unable to withstand rough weather and scant living. From the skull he removes the ‘grinder,’ front teeth are too thin for his purpose. These ‘grinders’ being ‘green’ must be stored in a dry place until properly seasoned. A ‘green’ tooth would, as he terms it, ‘rain’ – otherwise split up if worked on. When the teeth are seasoned they are imbedded in a wooden mould filled with plaster of paris, leaving about an inch of the crown free, and are so placed as to have all the crowns at the same height to work upon. Now comes the process of grinding to a flat surface. This is performed in the first instance with a piece of coarse carborundum. When the surface is ground flat and smooth he takes up a much finer piece of the same material, and grinds away any roughness which the coarser carborundum left behind. The third stage of rubbing is accomplished with a piece of snake-stone (variolites), which finally removes dents or unevenness. Last of all, to attain a high polish he uses a piece of felt dipped in putty powder. The upper surface, now complete, the teeth are taken from their bed and any adhering plaster chipped off. Next comes the process of cutting the tooth with a back saw. A thin slice, ¼-inch thick, is cut off and kept, the remainder being thrown away. Only one piece can be cut from a tooth though a pony’s grinder measures 2 inches or even 3 inches in length. Now the little slab is ready for mounting in the desired pattern, or can be drilled and threaded for bizarre necklaces, pendants, or bracelets. Pieces mounted singly are delightful as charms or brooches. There are many possibilities. As bizarre as this may seem there are still people making jewellery from horses teeth today as a quick Google search revealed. One person it offering to make custom pendants, ear-rings etc from your favourite horse’s teeth, they don’t specify whether it needs to be dead or alive before donating the tooth. If you have $874 to spare you could even buy a ‘three million year old’ fossilised horse tooth pendant. Likewise for $950 somebody is selling a pair of antique Edwardian cuff-links made from horse’s teeth on Ebay. In fact it becomes clear that the fashion for such items is still very much in vogue as in 1925. A fully developed horse at around five years of age will have 24 ‘grinders’ which means you would have to find a lot of dead ponies in order to make a good living and this would involve a great deal of walking as well. But if you would like to have a go at making horse teeth jewellery without the hassle of traipsing around Dartmoor in search of dead ponies there are numerous sites on the internet selling ‘horse ivory’. Alternatively it may be worth contacting your local ‘knackerman’ but be sure to buy a good pair of pliers beforehand. Dear Tim, I was given your website by Richard Knights when I contacted him with a request for help. He said, “You must try Tim Sandles of legendarydartmoor. He has access to a lot of Dartmoor knowledge.” I wish I had found this website many years ago. It makes me want to move back to Devon. A wonderful website. Thank you. I wonder if you can help me. I’m looking for some specific Information about Ingra Tor which is not listed in your article on Dartmoor walks. I have written a book about my childhood with my brother in Plymouth during WW11. The book is going into the publishing stage shortly and I thought I’d have one last try at finding a record of a certain incident. I’d be very happy if I can find some mention of it. My brother, Harold, got up to quite a bit of (innocent?) mischief during those years including accidentally setting fire to Ingra Tour Halt with some friends (in order to keep warm) in about 1943/44 when he was eleven years old. I cannot find anyone who has heard of it yet, although it was in police records at the time. The episode is quite funny now, and if there are any official documents or newspaper accounts of it, I’d like to include them in the book with the chapter about the incident that I’ve already written. My book is a mostly lighthearted true story of Harold and me living in Plymouth during the war. Harold also brought home an unexploded bomb one day! He must have had at least nine lives. Dartmoor was often covered in grass, moss and intoxicating sweet heather when we picnicked there in summer with the sheep and wild ponies. But winter was a different matter. 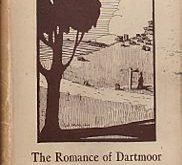 When drenched with rain, blinded with the cloying fog, or beaten with the icily cold howling winds, Dartmoor could be deadly. After packing a huge stack of sandwiches, enough they thought for at least the whole day, the boys caught a train to the halt on the moors called Ingra Tor. Tors are granite rock formations that appear to rise out of the moor’s landscape. A halt was a small, unmanned railway station which boasted only a little wooden hut with a bench inside for passengers’ comfort and a raised wooden platform for disembarking the train. The hut also displayed a few brochures and timetables, but little else. Ingra Tor halt serviced a single train track going from Plymouth to Princetown, the small village that grew up around the prison to house the guards and staff. The boys were not prepared for the harsh, winter conditions. “Being young boys,” Harold continues, “we had eaten the day’s provisions before the train deposited us at the Tor, but nothing daunted, off we went to climb and explore the Tor and surrounding countryside. All thoughts soon turned to the comforts of home. But when the boys found their way back to Ingra Tor they were just in time to see the train disappearing into the distance and found they had at least another hour to wait for the next one to Plymouth. Only those who have tramped the moors in winter will know how bitterly cold those bedraggled boys were. “We took shelter in the waiting room, but it was so draughty that we might just as well have waited outside. We were so, so cold,” says Harold. They decided they needed a fire to warm their near-frozen bodies. After gathering some paper and leaflets that were in the hut, and sticks and dead leaves found outside, the boys piled the lot under a bench inside the hut and lit it. It wasn’t long before they were proudly admiring the fine fire they’d built as they watched the flames lick and devour the paper and sticks. All too quickly their pride and admiration turned to horror when the hut suddenly caught on fire sending the boys fleeing for their lives. What they didn’t know was that the hut had recently been painted with highly flammable paint. Being in a desolate area, they were convinced they’d not been seen and planned to nonchalantly feign ignorance of the fiasco. Harold continued, “We had a pow-wow. We decided the front part of the waiting room looked okay and the front part of the roof looked okay. Perhaps no one would notice. Our confidence returned a little, but was soon dashed again. “We knew the game was up when the train pulled in and a guard leapt off one end and a policeman off the other. They guided the four of us into the guard’s van and we all stayed there until we reached Plymouth. “At Plymouth the guard stayed with the train, but additional railway police were summoned and our gang of criminals was shepherded to an office, then taken individually into a room and questioned. We all tried to deny it at first but they soon got us to own up when they said one of us had already confessed. “I’ve always believed the police were secretly amused as they described the various dire punishments that could be meted out: prison, fines or the birch! They really put the fear of God into us. The policeman left our house that night with a few ominous parting words for Harold. “Young man, you’ll be hearing more about this,” he growled, while visions of prison bars danced in Harold’s head. But we never heard anything more about it. If it was just a threat to scare the hell out my brother, it worked. “Perhaps they had more important things to tend to, what with Hitler dropping bombs on us,” Harold said. Several years ago, when the book was just in the beginning stage, I found the fire at Ingra Tor mentioned briefly on Google. It just said that the halt was repaired (or rebuilt) after a fire, but that’s all it said. Now the article seems to have disappeared off Google, I can’t find it anywhere. I live in the U.S. so I’ve had to rely mostly on the internet for my research. I realise it was over 70 years ago, but if you can help with this I would really appreciate it. I’d even reward you with buckets of sunshine, of which we have too much here in Tucson, Arizona!